No better way to say bee mine than with stinging insects. 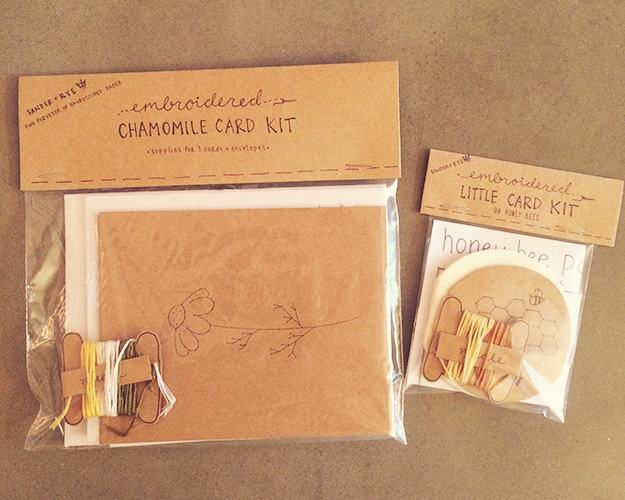 These cards focus more on the sweet honey, and are available for stitching up now! This entry was posted in Shop and tagged Bee, card, diy, embroidery, embroidery kit, etsy, honey, honeycomb, sander and rye, valentine on February 4, 2015 by Chelsea. For some reason lately, I feel like I could learn to play the guitar. I am pretty terrible at most musical things, so I could be completely wrong here. But I know you can get 1/2 sized guitars, which would be good for me. And I am fairly good at memorizing patterns, so I feel like it is something I could learn. I just think it would be fun to sit in the backyard in the evening and play the guitar (provided someone tunes it for me). So some of my proceeds from my shops will be going into my future guitar fund. In honor of my recent google search history, a guitar card is new in the shop this week! 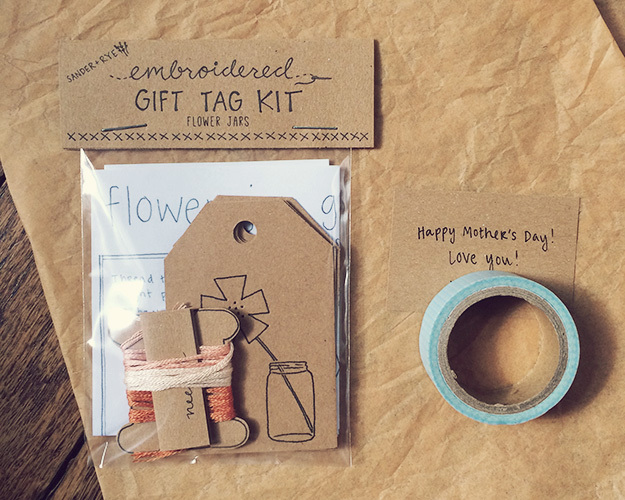 This entry was posted in Shop and tagged card, diy, embroidery, etsy, guitar, handmade, music, sander and rye on March 19, 2014 by Chelsea. 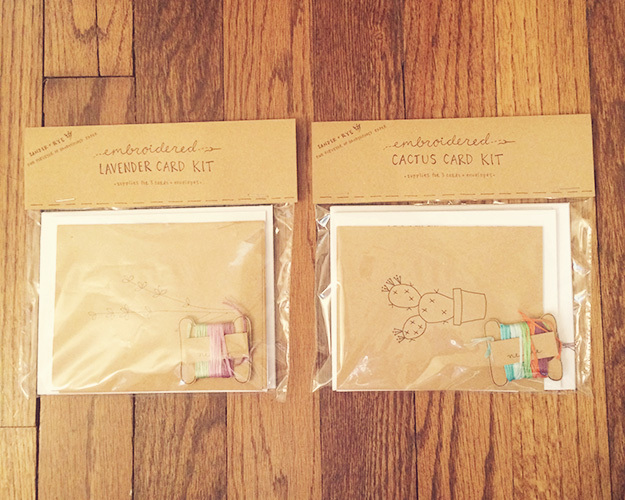 These cards blend my love of drawing with my inner hair stylist. I really enjoyed using the different stitches to make the hair textures. Find them now in the shop! Now I just need to find a flower crown that I can wear around all day. 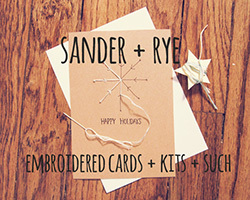 This entry was posted in Shop and tagged card, craft, embroidery, etsy, fashion illustration, hair, hairstyle, handmade, sander and rye, sew on February 19, 2014 by Chelsea. 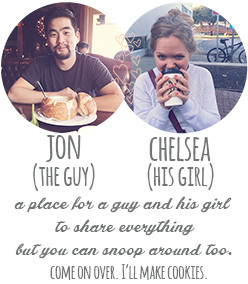 According to the internet, we were probably supposed to get some adorable professional photos taken for Christmas for our newlywed year. And then we were supposed to send out a sweet holiday card to everyone that would arrive the week before. But instead, we spent the most of December attending parties, and then skipped town. No regrets. 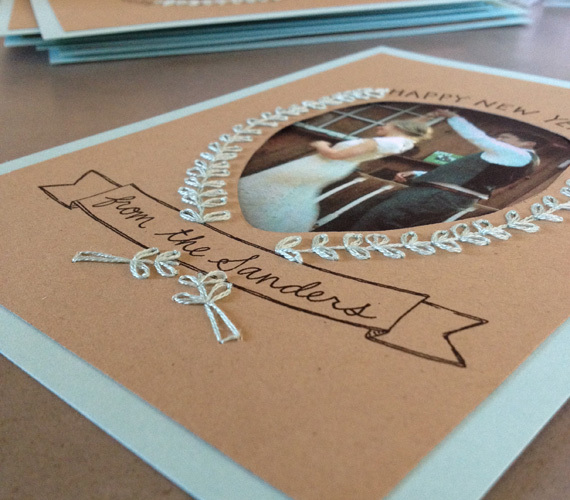 I made them in similar style to our wedding invites, and used one of my favorite photos from our wedding. I love them, so I hope our family is happy to see them in the mail soon! 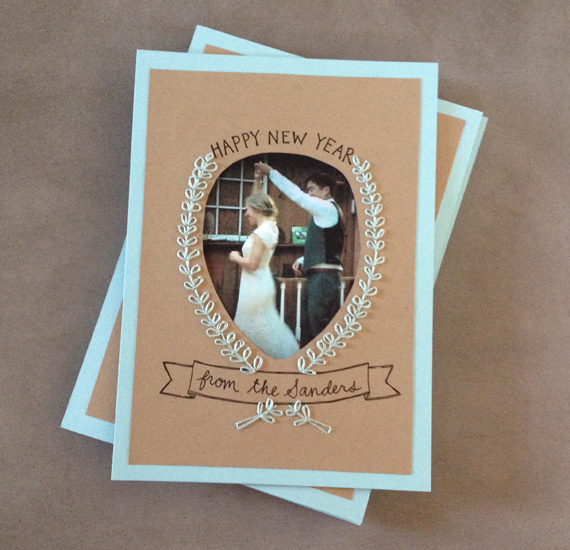 I will have a slightly similar pattern of card available in my etsy shop soon! 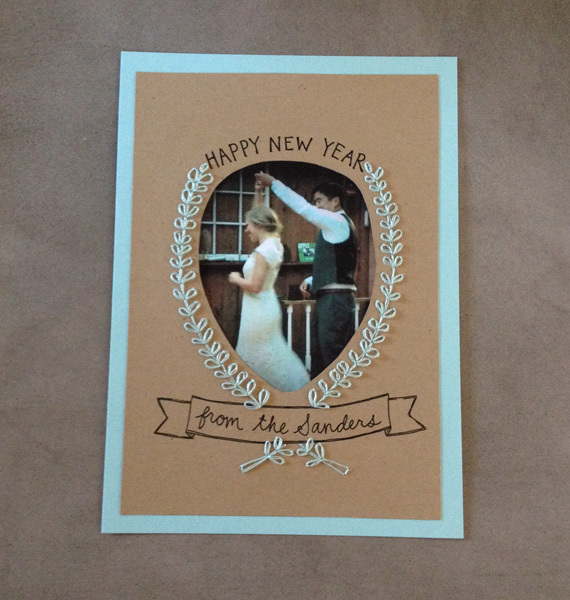 This entry was posted in Make, Shop and tagged card, Christmas, embroidery, etsy, handmade, holiday card, new year, newlywed, sander and rye, wedding, Wedding Photos on January 20, 2014 by Chelsea.